Tottenham vs Leicester predictions and betting tips for today’s Premier League fixture at 1.30pm. Our tipster has found two bets and the best way to use the Betfred special offer where you’ll get TWO free £20 Champions League bets. 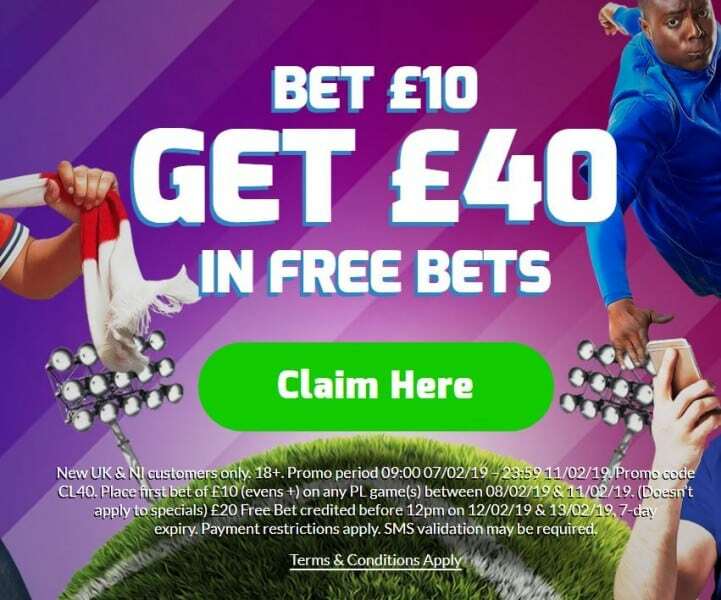 If you open a new Betfred account and bet £10 on any Premier League bet today – you will get a £20 Champions League free bet for Tuesday AND a £20 free bet for Wednesday. 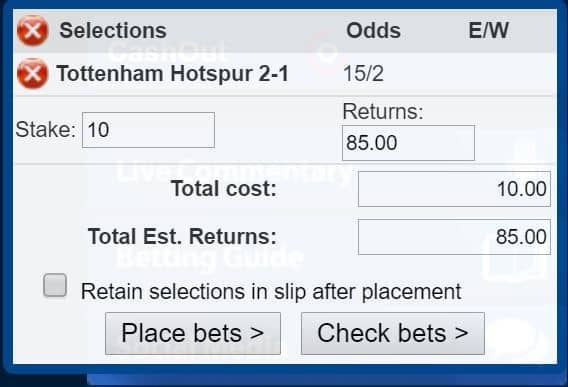 We’ve found two options for betting on Tottenham vs Leicester that would trigger this offer. 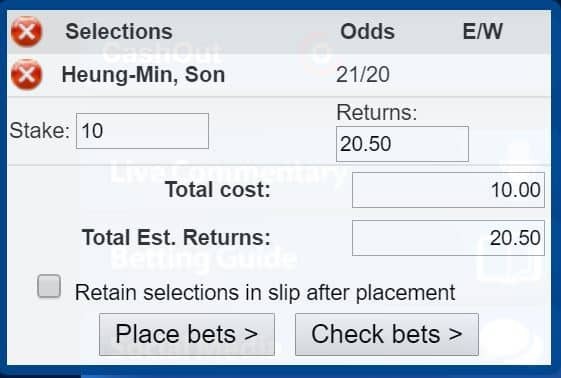 The first bet we are selecting here is an anytime goalscorer and it’s that man Heung-Min Son who we want to be on. Harry Kane is still not ready to return and Son has come back from the Asia games and carried on his great form. He has scored in each of Tottenham’s last two matches and at odds of 21/20 to score today, he is a great option to trigger the 2x £20 Champions League free bets. A £10 bet on Son to score returns £20.50 and win OR LOSE we get two free £20 bets for the Champions League this week. BET NOW – bet £10 to get TWO free £20 Champions League bets @ Betfred. For the second selection, we’re going for a correct score tip and this is the better option if you want to take more of a risk with your £10 bet. Tottenham have been grinding out wins through their injury crisis, beating Watford 2-1 and Newcastle 1-0 in their last two matches. Leicester have lost four and drawn one of their last five matches and we’re predicting a narrow loss for them at Wembley today. The correct score prediction is a 2-1 Tottenham victory and Betfred’s odds for this are 15/2. 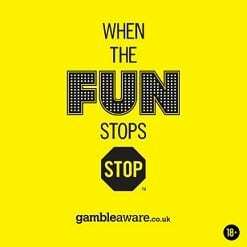 This means a £10 bet will return £85 in cash if it’s a winner, and once again, you will get a £20 free bet for Tuesday AND a £20 free bet fro Wednesday if you open an account.